Although high winds were passing through racing was optimistically going to start at 1pm, but after a reckie on to the water by the OD the postponement flag was hoisted and the situation reviewed at 2pmUnexpectedly the wind eased considerably, and the fleets were on the water by 2.30pm. Of course, while waiting for the start the wind picked up. 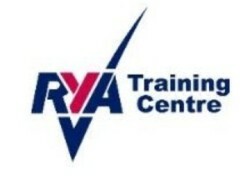 It was as blustery as to it can, and although there were many capsizes, the conditions were challenging but sailable. The courses had runs and reaches, and when the gust was there, there were excellent planing conditions. As ever, Toggle gets a mention – this time for managing to take out a competitor (Lewis Tyson in a Topper!) by hooking Lewis’ mainsheet onto his bow sprit on the startline!! Some consistent sailing by Dave and Jackie Gebhard in a GP secured them a first and second to put them in overnight lead. 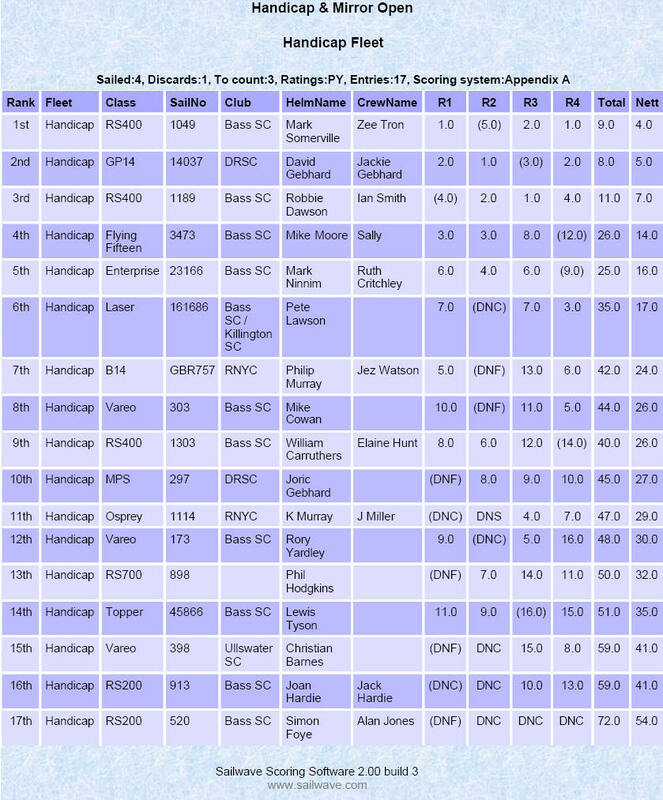 The next three boats are all on equal points, partly because in each race the RS400s had untypical capsizes. In the first race Robbie D and Big E went in on a ‘roll’ gybe on screaming reach, having dipped their pole in the water, and Scumper and Zefer did something similar in the second race – though they managed to ground their boat on some submerged fence posts! Mike Moore and Sally sailed consistently and secured two thirds. Some excellent and consistent sailing by Jack Lawson in the mirrors gave him a commanding overnight lead with two firsts. His only competitor in the second race retired! The forecast was right, there was not a lot of wind and a 10.30 start seems somewhat unlikely! Scumper and Zefer sailed consistently well taking a 2nd in race 3, but a 1st in the final race meant they snatched the trophy from Dave and Jackie Gebhard in their GP, who had another day with two good results (3rd and 2nd). 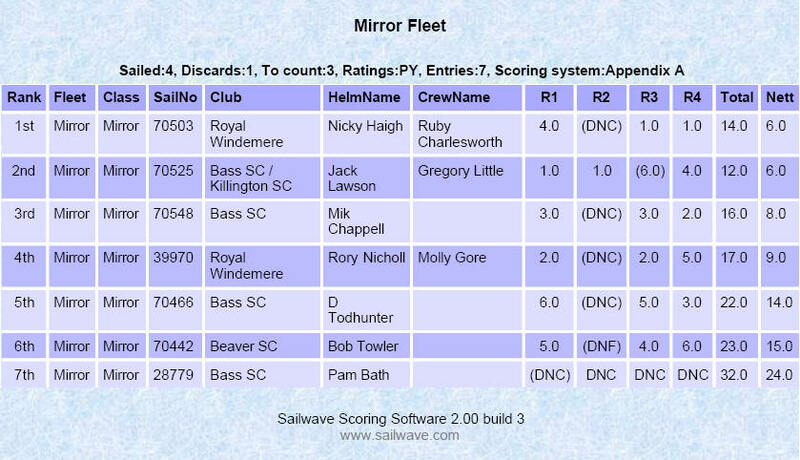 In the Mirror fleet, Nicky Haigh and Ruby Charlesworth from Royal Windermere made the most of the conditions and secured two firsts which when added to their 4th from yesterday, gave them six points, the same as Jack Lawson. The tie break on the last race gave the trophy to Nicky.